Sets of jewellry for bellydancing, following pictures, I found in the net. All sets contain earrings, headpiece and necklace. Carakters, Morphs, Skins, Clothes and and other Props are nor part of the package. Due to the size of the whole work I had it to split up in two parts. I hope, nothing got lost by splitting the work. You will find more pictures inside. tatiszrafa (3 years ago) Inappropriate? 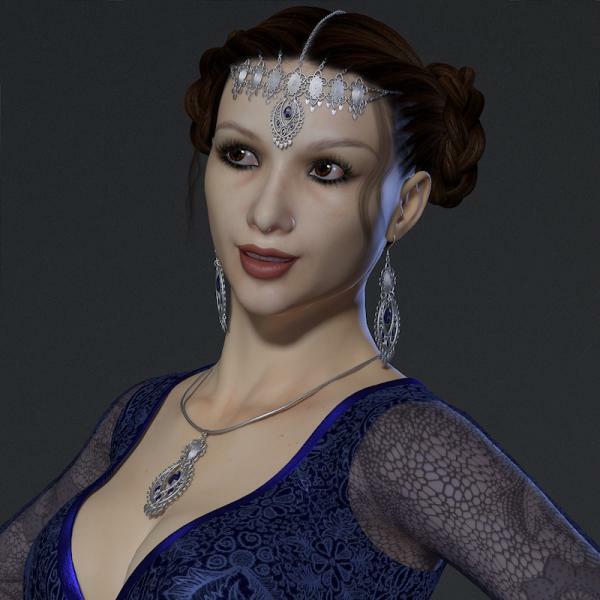 Thanks so much, just saw a render at Runtime DNA using this jewelry and it looks fabulous. sunfish42 (5 years ago) Inappropriate? What a beauty! Incredible. Are you a jeweler? A specialist in Middle/Near Eastern or North African cultures? Or both? However - these sets are exquisite. The promo pics are lovely like always, but they don't show the whole beauty of this jewellery. Many, many thanks!